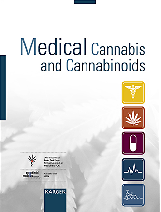 Researchers of the Academic Medical Centre of Amsterdam, the Netherlands, investigated the effects of THC (dronabinol) on relaxations of the lower oesophageal sphincter (the muscular ring at the lower end of the oesophagus) and reflux of acid from the stomach into the oesophagus (gastro-oesophageal reflux) in dogs and humans. 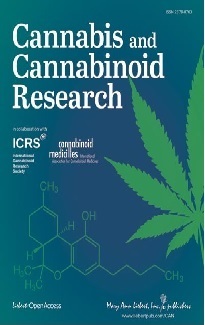 In dogs, dronabinol dose-dependently reduced relaxations of the lower oesophageal sphincter and acid reflux rate, which was reversed by a CB1 receptor antagonist (SR141716A), indicating that this THC effect is mediated by the CB1 receptor. Based on these results a placebo-controlled study was conducted with 18 healthy volunteers, who received either a placebo, 10 mg dronabinol or 20 mg dronabinol on three occasions. THC significantly reduced the number of relaxations of the lower oesophageal sphincter and caused a non-significant reduction of acid reflux episodes in the first hour after a meal. Gastro-oesophageal reflux is a condition where the lower oesophageal sphincter is abnormally relaxed and allows the stomach's acidic contents to flow back into the oesophagus. This may cause oesophagitis, an inflammation of the inner lining of the oesophagus. Medical cannabis will be distributed in Germany by Fagron Germany, a unit of Belgian medical wholesaler Arseus, Arseus said in a statement. Fagron Germany has an exclusive license for the import and distribution of medical cannabis in Germany. The statement says that Fagron Nederland has been active in the Netherlands's medical cannabis market since 2003. Fagron Netherlands is responsible for the distribution of cannabis to Dutch pharmacies. Use of the plant as a medicine is not legal in Germany. However, the Federal Institute for Pharmaceuticals and Medical Products has permitted four people to acquire cannabis from pharmacies. The exceptions were based on the advice of several doctors and only after it had been established that no other treatment would help.